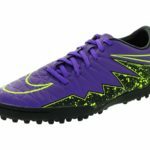 After spending several days reading up on the most sought after shoes for neuroma, I was able to identify the very best choice for those with the condition. Designed with special feet in mind, the Orthofeet Sprint Comfort Orthopedic Sneaker turns out to be the very best investment you can make if you’re struggling with neuroma. With about 30% of the entire population suffering from the condition, Morton’s Neuroma proves to be one of the most widespread conditions affecting the feet. And although it can be resolved with surgery, there are less invasive treatment options to choose from – including your shoes of choice. Wearing shoes that offer enough space, support, and responsiveness can significantly decrease the pain and discomfort caused by a neuroma. And that’s why the Sprint Comfort Orthopedic Sneaker from Orthofeet makes an exceptional choice to combat the symptoms of Morton’s. Orthofeet is a premier brand of orthotic footwear that caters specifically to buyers with special feet conditions. All of their styles are designed with unique orthotic insoles and a cushioning sole with air pockets. This combination makes for a very soft, sturdy, and responsive feel that helps soothe a neuroma. The Orthofeet Sprint Comfort Orthopedic Sneaker uses this intelligent footwear technology, gently cradling the feet for premium comfort and excellent support. The design was engineered for everyday use, but also serves well as an athletic shoe for casual sports and occasional running. Inside, a gel-padded insole feature contours and curves that are designed to accommodate the natural, anatomical shape of the feet. Along the medial longitudinal arch, the advanced orthotic insert provides the most support. This helps prevent a world’s worth of pain and discomfort that’s often associated with a neuroma. One of the cornerstones of treating a Morton’s Neuroma is giving the bunched up nerves some room to recover. So that entails avoiding tight-fitting shoes or socks that could impede blood flow and cause unnecessary pressure. With a roomier toe-box and a form-fitting design, the Sprint Comfort provides exactly what’s ideal for Morton’s Neuroma sufferers. The shoe uses non-binding uppers that ensure proper circulation at all times. Made from premium fabric and synthetic, the uppers are also designed to adjust to the size of your feet to provide enough support by gently hugging against your skin for a comfortable fit. Around the areas of the toes, the shoe provides a little more space. This gives users more space to accommodate swelling, and helps guarantee that the neuroma isn’t subjected to any pressure. Another smart feature that the Sprint offers for those with neuromas is its adjustable strap. Along the heel area of the collar, the sneaker has an adjustable Velcro strap that allows you to achieve a custom fit. 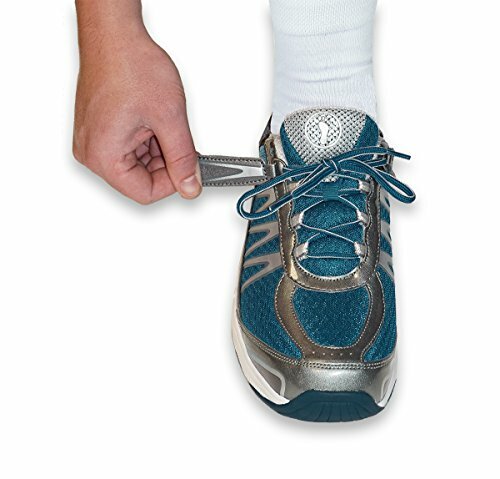 By tightening or loosening the strap, you can either give your toes more or less room to move around. The best shoes for a Morton’s Neuroma are those that work with your feet. By reducing the effort you put into each step, you can effectively reduce pain and discomfort, and even give your feet the chance to recover. That’s why responsiveness is one of the main factors you should be looking for in a shoe. Designed with air pockets along the heel area, the Sprint Comfort is so much easier to walk in compared to a lot of other sneakers. The pockets definitely add a bounce to your step, allowing you to conserve energy and take your next stride with as little as 50% of the effort you would spend otherwise. To improve responsiveness further, the Sprint Comfort from Orthofeet also uses a slightly rocking forefoot sole. Towards the front of the shoe, the sole slightly curves upwards. This simple yet intuitive feature cradles your feet forward straight into the next step. The result is an easy walk that doesn’t take too much energy and doesn’t put too much pressure on your feet. Ask any doctor or health specialist about shoes for Morton’s Neuroma, and they’ll tell you not to hold on too long to any pair. That’s because most shoes lose their integrity after a while. Without the proper density or responsiveness, a shoe might not be able to provide you the necessary support and comfort to alleviate the symptoms of your neuroma. With that, any shoe that you’ve been using for a while might be too worn out to be ideal. 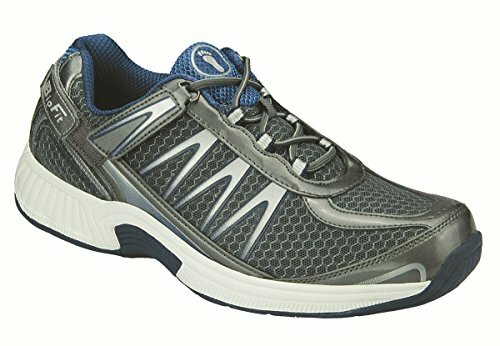 With the Orthofeet Sprint Comfort Sneakers though, that ceases to be a problem. The construction is so well put together that it can survive over a year of daily use without losing its original efficiency. In the unlikely event that your Sprint’s do give up sooner than you prefer, the company also sells the insoles separately so you can curb the expense of buying a whole new pair altogether. Uses a professionally designed sole construction that provides orthotic support. Responsive air cushions reduce energy use for an effortless stride. Made to hug your feet just enough for proper support without applying pressure on the feet. Exceptionally comfortable, ideal for everyday use. Hard wearing construction keeps the shoes in pristine condition for many years down the line. Comes at a higher cost than most other shoes for Morton’s neuroma. If you’re not quite sure about the Orthofeet Sprint Comfort, these three other picks might just be right up your alley. 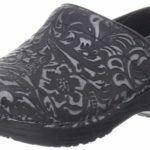 I did a lot of digging, and although it might not be as popular as other choices like the Crocs Santa Cruz Clean Cut Loafer, the Vionic Orthaheel Ngage1 Sneaker seems to do pretty well when it comes to assisting in the treatment of neuromas. This specially designed sneaker features breathable mesh uppers combined with a durable rubber sole. Inside, the shoes’ insoles are soft and pliable, providing both comfort and support that aid in achieving the optimal step. Much like the Orthofeet Sprint Comfort, these Vionic sneakers also boast a much roomier toe box compared to typical sneakers. Why didn’t I find it to be the top pick? Well, while it does pretty well on the overall, I just can’t overlook the fact that the shoe has much less responsiveness than the Sprint Comfort. What’s more, it’s not quite as durable either. So you might see some peeling and density loss after some time. Lightweight construction makes it easy and effortless to walk in. Breathable mesh uppers improve comfort. Rubber outsoles are durable and provide impressive traction. Roomy toe box eliminates pressure on your neuroma. Responsiveness is almost non-existent, with each step feeling flat. Durability could use some improvements, especially where the uppers meet the soles. If you’re really into staying active and you don’t want your neuroma to get in the way, then a solid athletics shoe like theGEL Venture 5 Running Shoe from Asics deserves your attention. This durable, hardy, outdoor-ready shoe lets you stay active in style, all while taking care of that sensitive bundle of nerves. For the most part, the shoe owes its impressive support, comfort, and responsiveness to its gel insole. 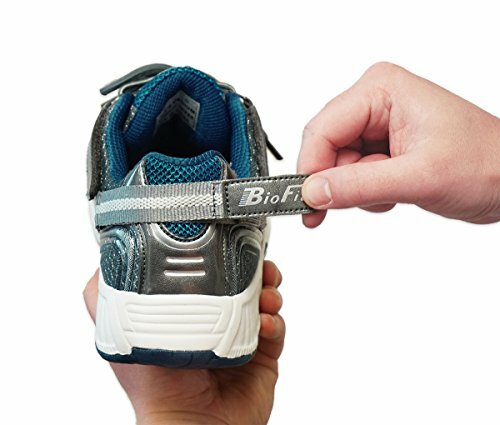 Made from a special cooling gel material, the heel of the insoles give substantial bounce that reduce the amount of energy you would use otherwise. 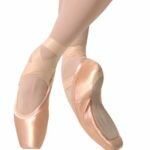 The shoe also has an amazingly roomy toe box, letting you flex and stretch your toes comfortably without having anything obstruct their movements. Of course, although it is a pretty solid selection, it does have a few downsides. Firstly, the entire shoe feels bulky and heavy, especially when you compare it to the lightweights I previously listed. This makes it a little less forgiving, which becomes an issue if you want to achieve a normal, natural gait. Secondly, the shoe uses some hard wearing materials to achieve its impressive durability. So with that, you should expect breathability to take a toll. And boy, does it take a toll. Sure, you can wear some moisture wicking socks. But at the end of the day, you should be ready to confront uncomfortably sweaty feet. Ultra-durable construction lets you use the shoes for demanding outdoor activities minus the chances of damage. 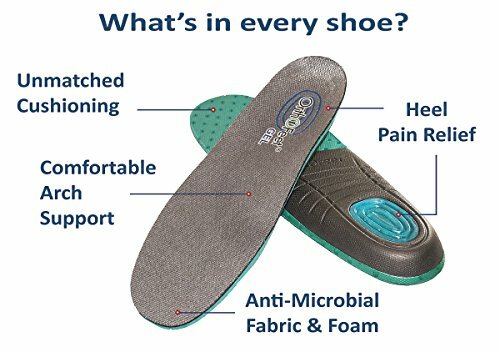 Gel insoles are comfortable, responsive, and supportive, giving you just what you need to aid your feet back to health. Roomy toe box decreases a lot of the resistance you would experience when trying to move your toes around in a tighter shoe. Premium fit promises to give you proper support without impeding blood flow or sensation. Materials are tough and unforgiving, preventing natural movements during walking. Can get pretty hot and sweaty after some time. Before you go out and seek surgery for your neuroma, try something a little more affordable and less invasive. Based on my extensive research, the Orthofeet Sprint Comfort Orthopedic Sneaker – despite being a little more expensive than the other two shoes on this list – is probably one of the most affordable purchases you can make to help soothe a throbbing neuroma. Of course, there are choices like the Vionic Orthaheel Ngage1 Sneaker and the Asics GEL Venture 5 Running Shoe which are also solid choices. All in all, these three picks proved to be a cut above the rest based on all the information I’ve found. 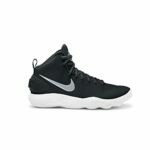 So be sure to check them out during your search for the best shoes for Morton’s Neuroma to narrow your choices and land a solid footwear pick with ease. Nike Air Max Dynasty Review – A Good Training Shoe From the Air Max Line?